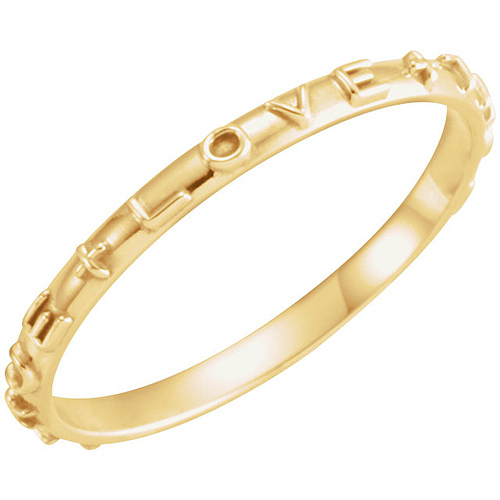 True love purity ring is made of polished 10k yellow gold. The words TRUE LOVE are cast into the ring along with crosses. 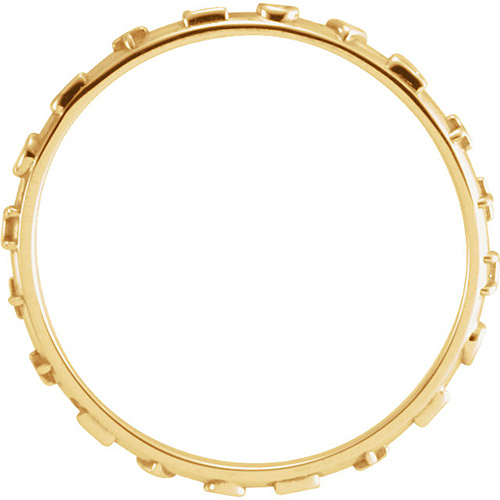 Ring width: 2mm. Each ring comes with a gift box, card and pouch. Available in whole finger sizes 4-8. Standard fit. Made in USA.